Atanasio "Tony" Pérez Rigal (born May 14, 1942), is a former Major League Baseball player and member of the Baseball Hall of Fame. Variously nicknamed "Big Dog", "Big Doggie", "Doggie", and "The Mayor of Riverfront", the slugging seven-time All-Star split his career between third and first base, earning two World Series rings during a twenty-three year playing career, and one World Series ring as a coach. Along with fellow stars Pete Rose and Johnny Bench, Pérez was a key member of Cincinnati's celebrated "Big Red Machine". Following a thirteen year initial stint with the Reds (1964–76), he played for the Montreal Expos (1977–79), Boston Red Sox (1980–82) and Philadelphia Phillies (1983) before returning to Cincinnati for his final three seasons (1984–86). He finished his career with a .279 batting average, 379 home runs, 1,652 runs batted in and 1,272 runs scored. After retiring, Pérez went on to coach and later manage the Reds and manage the 2000. He was signed to a pro contract in 1960 at age 17 by Cincinnati Reds scout Tony Pacheco while playing on the Camaguey sugar factory team. He was assigned to the instructional team of the Reds' AAA affiliate Havana Sugar Kings. His "bonus" for signing with the Reds was the $2.50 cost of a visa and a plane ticket to Miami, Florida. In  Each year since his induction, he has attended the weekend ceremonies, including riding in the annual parade and playing in the annual golf outing and old-timers' baseball game. ^ a b "Atanasio (Rigal) Perez | reds.com: Hall of Fame". Cincinnati.reds.mlb.com. Retrieved 2013-03-31. ^ "Hall of Fame induction colored Red". Reds.enquirer.com. 2000-07-23. Retrieved 2013-03-31. ^ "The Miami News - Google News Archive Search". news.google.com. Retrieved 2014-10-25. ^ a b c Latino Baseball Legends: An Encyclopedia - LEW FREEDMAN - Google Books. Books.google.com. 2010-08-31. Retrieved 2013-03-31. ^ a b "Tony Perez Minor League Statistics & History". Baseball-Reference.com. 1942-05-14. Retrieved 2013-03-31. ^ "Rocky Mount Evening Telegram, Wednesday, August 5, 1964, Page 14". newspaperarchive.com. Retrieved 2014-10-25. ^ Tony Perez, Topps Baseball Cards, 1968, card number 130. ^ "July 26, 1964 Pittsburgh Pirates at Cincinnati Reds Play by Play and Box Score". Baseball-Reference.com. 1964-07-26. Retrieved 2013-03-31. ^ "July 27, 1964 Cincinnati Reds at Milwaukee Braves Play by Play and Box Score". Baseball-Reference.com. 1964-07-27. Retrieved 2013-03-31. ^ "April 13, 1965 Milwaukee Braves at Cincinnati Reds Box Score and Play by Play". Baseball-Reference.com. 1965-04-13. Retrieved 2013-03-31. ^ "The Morning Record - Google News Archive Search". news.google.com. Retrieved 2014-10-25. ^ "1967 All-Star Game". Baseball-almanac.com. Retrieved 2013-03-31. ^ "Pittsburgh Pirates - Three Rivers Stadium". Baseball-statistics.com. Retrieved 2013-03-31. ^ "Baseball Awards Voting for 1970". ^ Van Hyning, T.E. (2004). Puerto Rico's Winter League: A History of Major League Baseball's Launching Pad. McFarland & Company. p. 19. ^ """An Interview with Thomas E. Van Hyning, author of the book, "Puerto Rico's Winter League. aleida.net. Retrieved 2014-10-25. ^ a b c d "Tony Perez Statistics and History". Baseball-Reference.com. Retrieved 2013-03-31. ^ "The Ballplayers - Tony Perez". BaseballLibrary.com. Retrieved 2013-03-31. ^ "May 13, 1985 Philadelphia Phillies at Cincinnati Reds Box Score and Play by Play". Baseball-Reference.com. 1985-05-13. Retrieved 2013-03-31. ^ "October 4, 1986 San Diego Padres at Cincinnati Reds Play by Play and Box Score". Baseball-Reference.com. 1986-10-04. Retrieved 2013-03-31. ^ "October 5, 1986 San Diego Padres at Cincinnati Reds Play by Play and Box Score". Baseball-Reference.com. 1986-10-05. Retrieved 2013-03-31. ^ a b "Atanasio Perez Rigal - Induction Speech | Baseball Hall of Fame". Baseballhall.org. 1979-03-29. Retrieved 2013-03-31. ^ "Hall of Famers | Baseball Hall of Fame". Baseballhall.org. 1982-03-31. Retrieved 2013-03-31. ^ "Latino Baseball Hall of Fame - BR Bullpen". baseball-reference.com. Retrieved 2014-10-25. ^ "Sportshall". web.archive.org. Retrieved 2014-10-25. ^ "Victor Perez « Cooperstown Chatter". Baseballhall.mlblogs.com. 2011-12-19. Retrieved 2013-03-31. ^ Newhan, Ross (2000-07-24). "Red-Letter Day". Los Angeles Times. ^ "Tony Pérez". Baseball Reference. Sports Reference. Retrieved October 2, 2015. ^ "E-mail Directory of Cardenenses (English)". Delafe.com. Retrieved 2013-03-31. ^ a b c "Perez: From Cuba to Hall". Reds.enquirer.com. 2000-01-13. Retrieved 2013-03-31. ^ "Sarasota Journal - Google News Archive Search". news.google.com. Retrieved 2014-10-25. ^ "The Greatest 21 Days: Interview Part 1: Victor Perez, That Feeling". 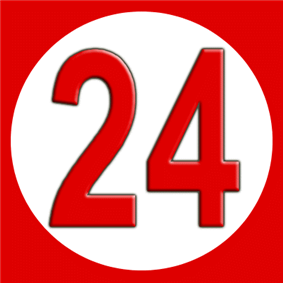 greatest21days.com. Retrieved 2014-10-25. ^ "Victor Perez Minor League Statistics & History". Baseball-Reference.com. 1968-05-11. Retrieved 2013-03-31. ^ "Manager and Coaches | astros.com: Team". Houston.astros.mlb.com. Retrieved 2013-03-31. ^ Araton, Harvey (2009-03-17). "Tony Pérez on Cuba and Its Team - NYTimes.com". Bats.blogs.nytimes.com. Retrieved 2013-03-31. ^ "Sisters Surprise Perez At Lunch - Sun Sentinel". articles.sun-sentinel.com. Retrieved 2014-10-25. ^ "Tony Perez left his life behind to play baseball in America". retro. Cincinnati.com. 2013-03-10. Retrieved 2013-03-31. ^ "To Understand Joy, Visit Perez's Sorrow - Sun Sentinel". Articles.sun-sentinel.com. 1998-06-11. Retrieved 2013-03-31. ^ "Hall Door Finally Open To Perez - Sun Sentinel". Articles.sun-sentinel.com. 2000-01-12. Retrieved 2013-03-31. ^ "Minnie Minoso gets his moment". Chicago Tribune. 2012-12-07. ^ "The push to get Minoso in the Hall of Fame continues | White Sox Observer". chicagonow.com. Retrieved 2014-10-25. 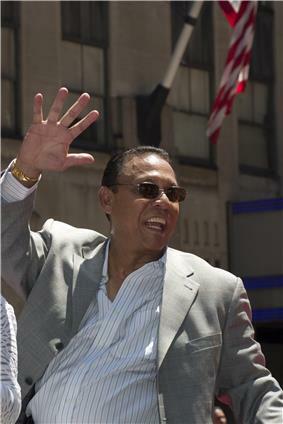 Tony Pérez has cited Cuban-born Minnie Minoso as his boyhood idol. Pérez has been an advocate for many years in articles, speeches, and discussions to get Minoso elected to the Baseball Hall of Fame. Tony's mother, Teodora ("Tita"), was 88 when Tony called her with the news in 2000 that he had been elected to the Hall of Fame. Tony was able to make a return visit to Cuba in 2002, only this time with his sons. Teodora died in 2008. Tony's oldest sister died in 1997. In 2000, for a luncheon honoring Tony, the Marlins arranged to surprise him by helping his two living sisters, Argelia and Gloria, secure visas and come to Miami from their homes in Central Violeta, Camaguey, Cuba. Tony's father, Jose Manuel — with whom Tony worked alongside as a teenager at the Camaguey sugar factory, hauling and stamping the company's name on the bags — died in 1979 at age 84 (some sources list his year of death as 1977). Tony has stated that, during his playing career, his family in Cuba would listen to the Voice of America, which would give daily updates on Cuban players playing in the majors. Victor played one year (1990) in the Reds' minor league system. He attended and graduated from Xavier University in Cincinnati with a Bachelor of Applied Science degree in Finance and Computer Science. He later moved to New York City, where he worked in real estate and in telecommunications. He also attended acting school there and became a professional actor, first in New York, and then for several years in London, England. On the weekend of August 21–22, 2015, the Cincinnati Reds held Tony Pérez Weekend during a series with the Arizona Diamondbacks. At least a dozen players of the Big Red Machine will be part of a post-game ceremony Friday night. On Saturday, a bronze statue of Pérez will be unveiled near the entrance to Great American Ballpark. Fans attending the game will receive replica statues, and there will be a pre-game ceremony honoring Pérez, followed by him throwing the ceremonial first pitch. On August 10, 2014 at the annual Reds Hall of Fame Induction Gala, former Reds teammates Johnny Bench and Joe Morgan along with Pérez himself announced that the Reds would erect a statue of Pérez outside Great American Ballpark.